ATHENS, Ga. – Todd Hartley, assistant coach and recruiting coordinator at Marshall University, has been named Director of Player Personnel at the University of Georgia by UGA head coach Mark Richt. 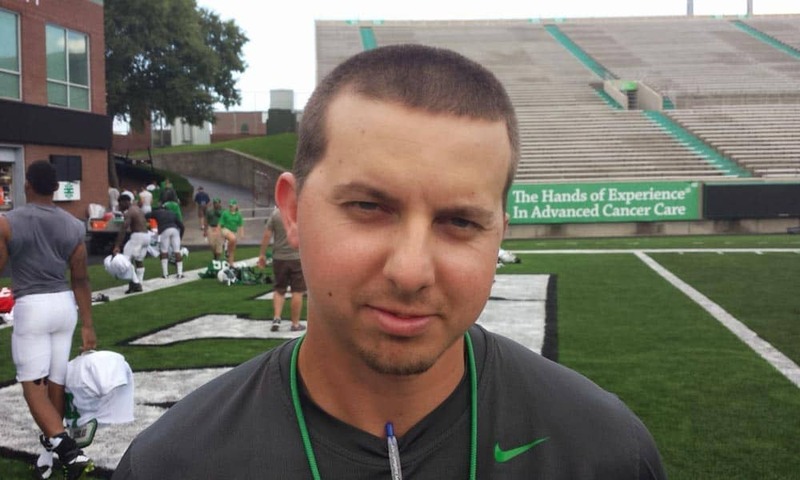 Hartley joined the Marshall staff in March, 2011, and served as the Herd’s safeties coach for two seasons before being named tight ends coach and recruiting coordinator in March, 2013. A graduate assistant coach at Georgia in 2009, he was named “interim defensive backs coach” for the 2009 Independence Bowl. The Bulldogs won the game, 44-20, over Texas A&M – a team that entered the game with the nation’s fifth ranked scoring offense. Prior to his graduate assistantship at Georgia, Hartley served as an offensive quality control coach at West Virginia from May, 2008 to May, 2009, and as an offensive/special teams undergraduate assistant at UGA from 2006-08. He earned his B.S. in Health and Physical Education from UGA in 2008. A native of Gray, Ga., Hartley is married to the former Jessica Spires and they have three children: son Tucker and daughters Tenley and Teagan.